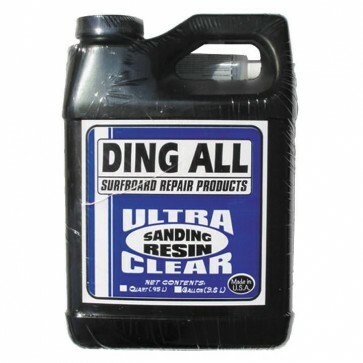 Ding All's Ultra Clear Sanding Resin and Ding All Hardener contains a liquid styrene wax solution that allows it to completely harden and sand easily. Most dings are repaired with sanding resin. Contains 8 fluid Oz. of resin and .25 fluid Oz. 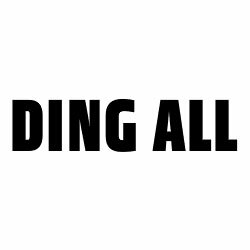 of hardener. This stuff works great, and drys clear. Definitely mix with some q-cell for those deep hole dings/repairs. Very happy to fix old surfboard up.